Adam Centner is a member of KMK's Private Client Services Group. Adam’s practice focuses primarily in estate planning, tax, and small business. He counsels clients on matters relating to asset protection, income and estate tax planning, probate avoidance, and business succession. Adam prides himself on being responsive and developing practical, individualized strategies for each and every client. He understands that complex dynamics are often at play and he has significant experience guiding clients through the process. Adam enjoys working with his clients to find solutions that are right for them, whether that is finding peace of mind through proper and thorough estate planning, implementing sophisticated strategies for the tax-efficient transfer of wealth to individual and charitable beneficiaries, or advising individual or institutional fiduciaries with respect to estate and trust administration. Adam’s practice also involves assisting clients on related transactional matters, including the creation and administration of for-profit and nonprofit entities, real estate purchases, residential and commercial leases, intra-family loans, and general corporate and contract matters. 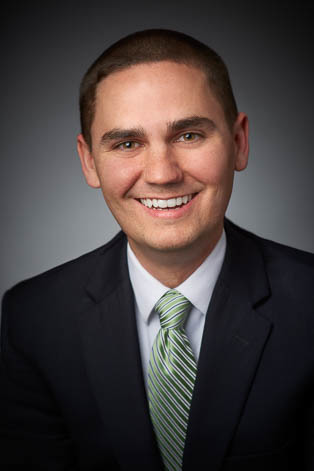 Prior to joining KMK, Adam practiced in the Corporate Department at Dinsmore & Shohl LLP. Adam lives in Cincinnati with his wife, Alice, and their young daughter. At a time when our family was most vulnerable, Adam responded the same day to our need, came to the hospital, listened carefully and patiently, and then delivered documents within 24 hours in a most efficient, professional and compassionate manner, assisting my family then and during the months thereafter. My family and I relied on Adam's legal expertise, timely responses, and resources within KMK Law to give us certainty of the path ahead. -- K. Aileen S.